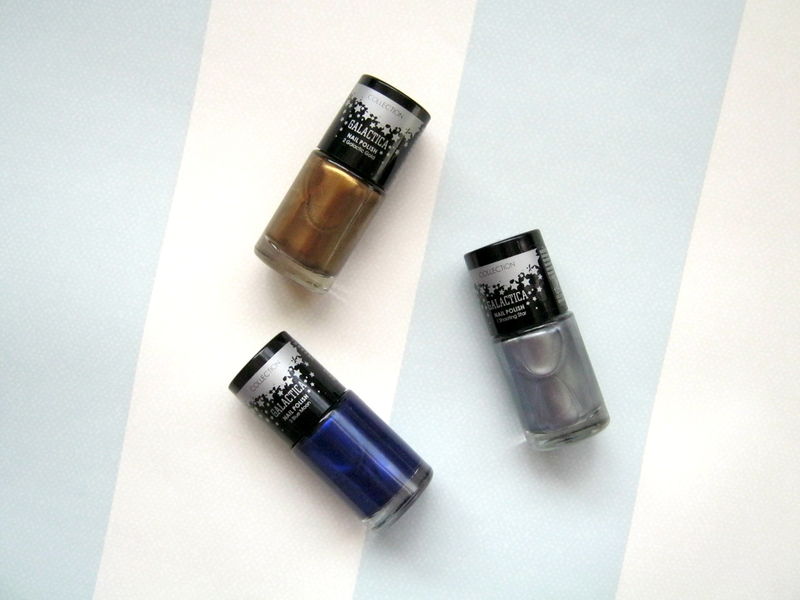 If you are a regular reader of my blog then you will have heard me talk about the Collection Cosmetics Galactica line a bit now, I've done a few different posts about products in the line now and finally I'm getting around to writing about the metallic nail polish trio available. I go through phases of wearing nail polish but since these came out I've been wearing one of them nearly all the time, switching between all 3 shades. I've only ever had positive experiences with Collection nail polishes and that hasn't changed since using these. Christmas is coming up quickly now and these nail polishes would be perfect for a Christmas party, especially the silver and gold shades. All 3 shades have a high shine metallic finish that stands out but is also subtle as the shades are simple so it just adds something a little extra to your look. I found that the gold shade 'Galactic Gold' and the blue shade 'Blue Moon' were more opaque than 'Shooting Star' but to get the best out of them you do need 3 coats. I found the formula to be quite fast drying between coats though which is a must for me if you need more than 2 coats, I can't stand waiting around for nail polish to dry! I think 'Shooting Star' would look amazing with a simple glitter top coat and 'Blue Moon' will definitely be my go to shade for when I want something a little bolder on my nails this Winter. I managed to get about 3 days wear out of these before it started to chip, not as impressive as some of my other nail polishes but these will only cost you just over £3, bit of a bargain I think. 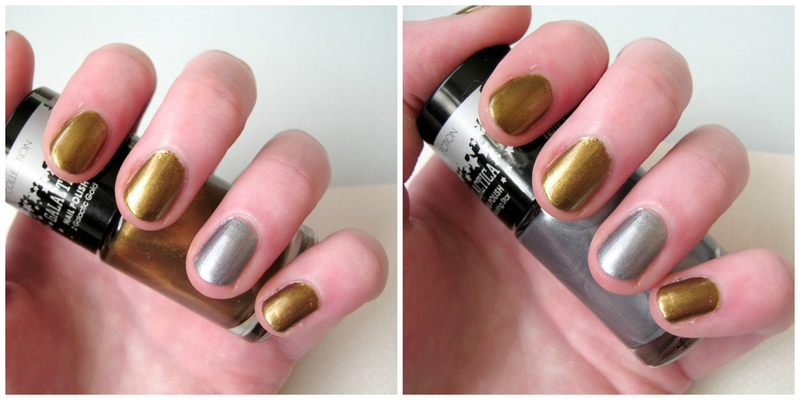 If you want to stray away from your usual go-to nail polishes this year and add something extra to your nails I'd definitely take a look at these, I adore the metallic finish! I'll be sure to post a picture on my Twitter/Instagram of 'Blue Moon' when I wear it next as well, I completely forgot to photograph it on my nails! Those are really pretty polishes! Your nail shape is so pretty! The silver shade is stunning! Tutuapp is in Chinese dialect. Be that as it may you can most certainly utilize tutu helper app you can continue as well as review the training exercise below.